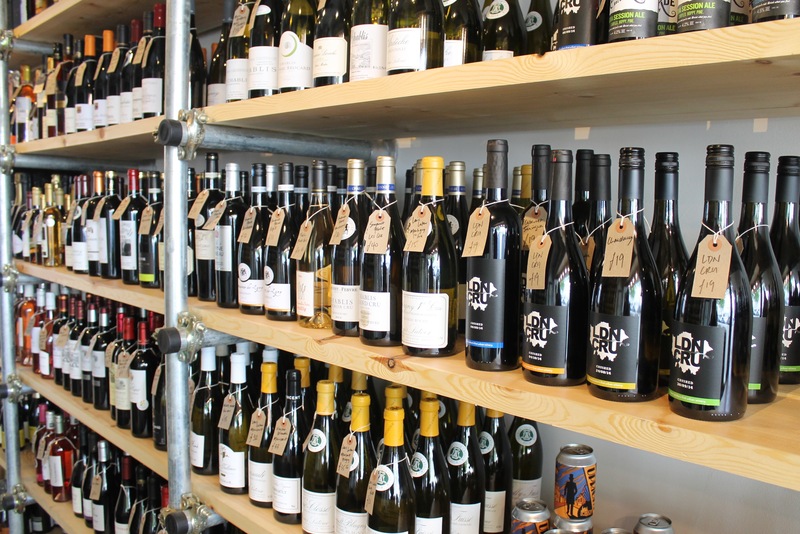 Down the hill in Whetstone is a new drinks shop, Stonewines, which I’m delighted to be writing about. Before finally opening last month, owner Riaz Syed had been looking at possible sites in the area for some time. 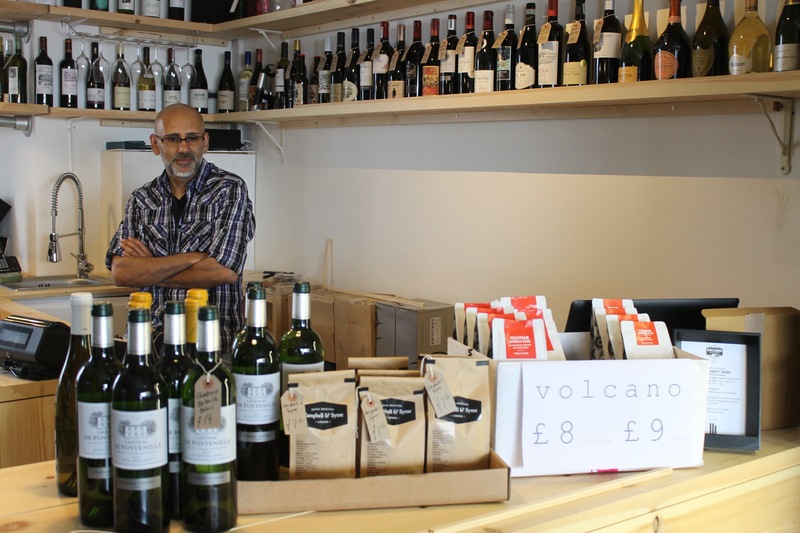 Last May I first met Riaz at a wine trade tasting and he told me all about his plans and I told him about the local website I was about to launch. A year on I’m delighted that things have taken shape and the project has been fully realised (as has mine – and you’re reading it now). 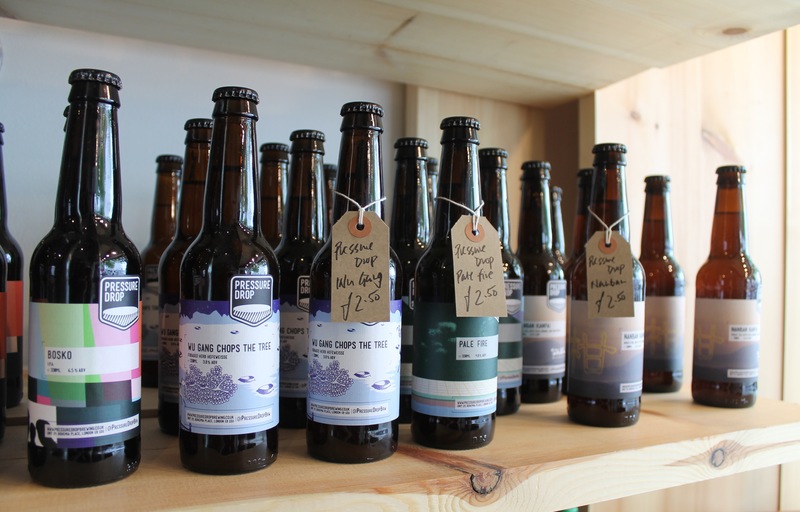 The shop has great presence on the High Road and I love how the sign includes coffee, as well as wine and beer. It’s fitted out in an industrial style (all Riaz’s handiwork) with plenty of space to browse the scaffolding shelves. 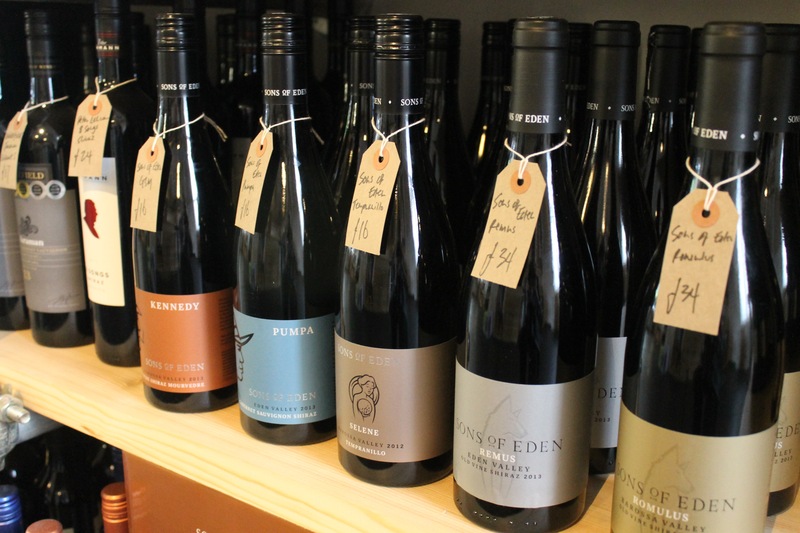 He stocks about 300 wines and is particularly strong on the New World, especially California, South Africa and Australia which boasts some wine he imports exclusively. There are some good bottles to tempt Europhiles (like me), but I’m keen to see how this part of the range expands, especially French wines. My purchase included a bargain Spanish white Rueda for £6.50 that was delicious mid-week drinking. Fantastic value compared with almost anything available on the high street. I also bought a couple of smart Australian whites, a big red from Montsant in Catalunya and some Muscadet (one of my favourite warm weather wines). The stock has plenty at all price points. 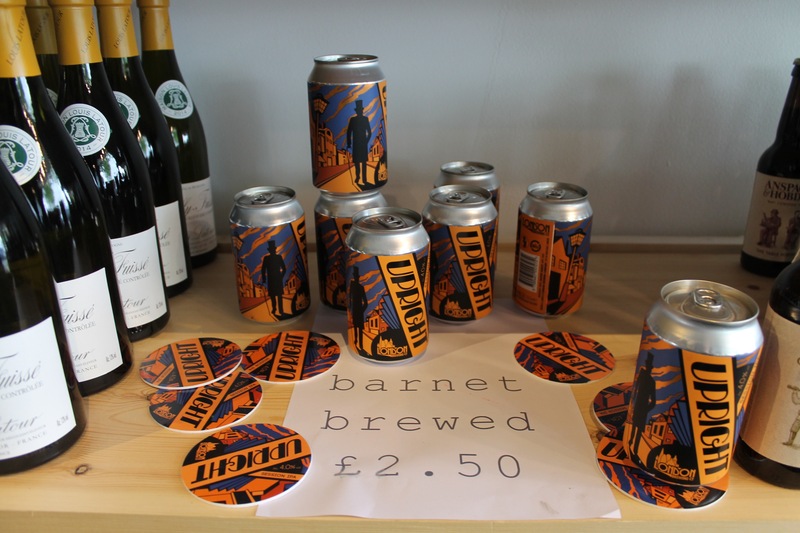 Riaz also has an interesting selection of craft beers, mostly from the London area including the London Brewing Company based at The Bohemia down the road in North Finchley. Gourmet coffee beans are from East Finchley-based roasters Campbell and Syme and Volcano Coffee Works in south London. Coffee will also be sold by the cup. At any given time you can taste two whites and two reds thanks to a Coravin – a high-tech wine device that inserts a needle through the cork allowing you to access the wine without actually opening the bottle. Riaz is also planning host tasting events in conjunction with his suppliers, so we’ll be keeping a close eye on what might be coming up and what other goodies might be stocked. Great stuff and a welcome addition to the neighbourhood.